I describe a few more details about the sputter process that I have used to make ITO coatings. I describe how to use plasma to create very clean surfaces on microscope slides. This process is used extensively in the semiconductor industry. I've finished my first custom DIY LCD, and describe the process in this video. I needed to polish two acrylic lenses that were made on a CNC lathe to the best possible finish (hopefully, optical quality). I made some test coupons and tried three different polishing techniques on three different surfaces to see which combination of techniques would yield the best results. The winner was clearly 2000 grit sandpaper followed by Novus No.2 polish. I've always wanted to create a decorative glass effect known as "glue chipping", and finally got to try it this weekend. My results were OK for a first attempt, and I now know what will work for me when I plan to make a real piece. I machined a few custom aluminum adapters for KF/NW vacuum fittings on the lathe this weekend. Next time, I hope to have electrical feedthroughs and should be ready to start depositing material! I describe how thermocouple vacuum gauges work, and take apart a vintage example of such a system. I am building a machine that will dispense and mix ingredients to make a single cookie. The benefit is that each cookie on the sheet can have its own recipe, and the baker can sample all of the cookies to better understand how ingredient variations will affect taste and texture. In this video, I talk about the butter dispenser. The folks at Meta Mate gave me the idea for customer-rating via QR code. I've received a few questions about my coffee table, which I built in 2006. I used fairly standard woodworking techniques (floating tenons, breadboard ends) with maple, walnut, and bloodwood for contrasting colors. I didn't use any stains or colored finishes -- all of the color is from the wood's natural appearance. 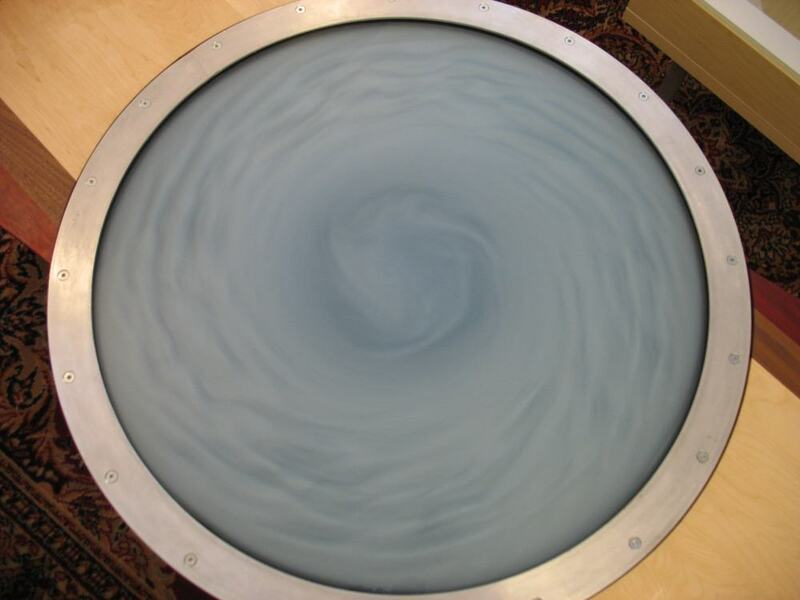 The table has a 30" diameter disc that contains about 2 gallons of water mixed with Pearl Swirl fluid. This fluid is essentially very fine glitter that becomes suspended in the water, and will show flow currents as the water moves within the disk. I positioned the disc on a 24" diameter lazy susan bearing for low-friction rotation. When the disc suddenly changes rotational speed, there will be turbulence in the water, which causes the rheoscopic fluid to show fluid vortices and eddies that are part of the turbulence. The outer metal ring was custom-built by a shop that specializes in metal rings (see sources below). All of the other parts were bought from McMaster, eBay, and Steve Spangler Science for the Pearl Swirl fluid. I got the idea for this table after see a tornado visualization exhibit at the Carnegie Science Center in Pittsburgh. The Exloratorium has an orb filled with a similar fluid to show flow patterns similar to those on a rotating planet with an atmosphere. 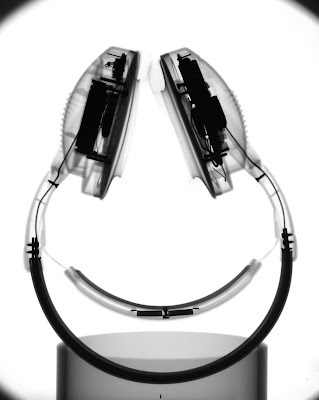 The main pieces are: 3/8" thick glass top, aluminum ring with L cross-section, a 3/4" thick O-ring with square cross-section and a 1/2" thick PVC plastic bottom. 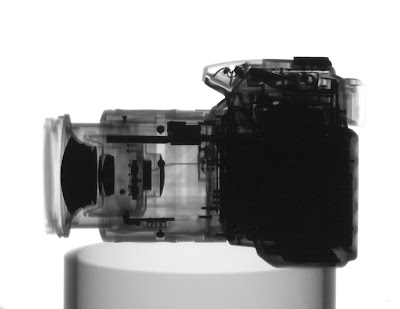 There are a bunch of screws that pull the aluminum ring down onto the glass, which pushes onto the O-ring, which pushes on the PVC bottom. There is no glue used anywhere in the disk. The overall diameter is about 32". The disk holds about 2 gallons of liquid, and weighs a total of 80 lbs (just a good estimate -- I never measured it). 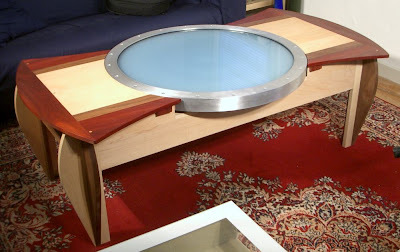 There are two threaded fill-holes with plugs on the bottom, and the whole thing sits on a 24" lazy susan bearing. eBay -- search for "aluminum lazy susan"
I used my programmable turntable and camera control to create a timelapse video of crystal growth on a small novelty toy. I took one photo (1920x1080) every two minutes, and advanced the turntable by about 3/4 of a degree between photos. I encoded the photos into a 29.97fps timeline in Adobe Premiere, but used two video frames for each photo, so 1 second of playback = 15 photos = 30 minutes. I covered the windows in my shop with black plastic to prevent sunlight from changing the scene as morning arrived. Each exposure was 1/10 at ISO100 f/8, with standard fluorescent lighting in my shop. I built a CT scanner from an x-ray tube that I bought on eBay, a stepper motor, a large ring bearing, and an Arduino. 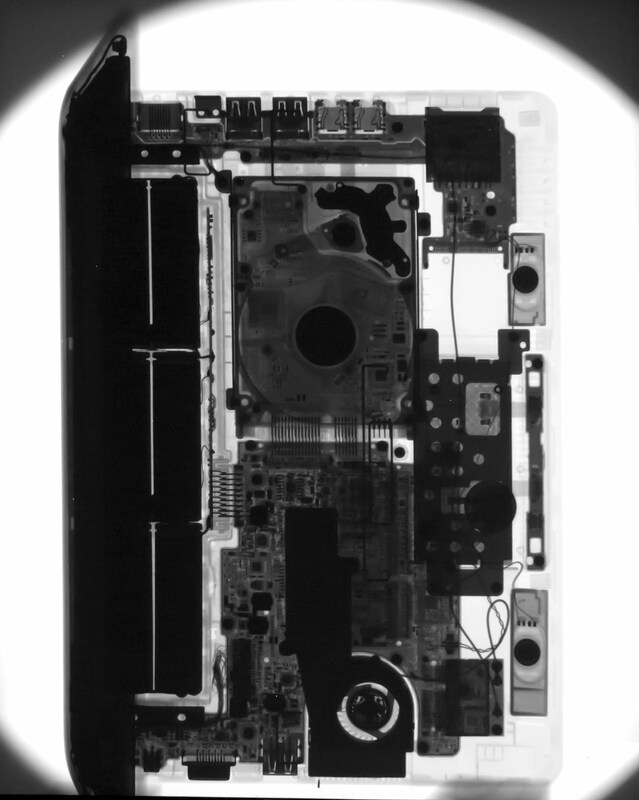 I used a phosphor screen and my camera to capture x-ray shadow images of a frozen chicken, while the Arduino and stepper motor rotated the chicken by 8 degrees between shots. The resulting 45 images were combined via filtered back projection to create a 3D volume reconstruction of the chicken.